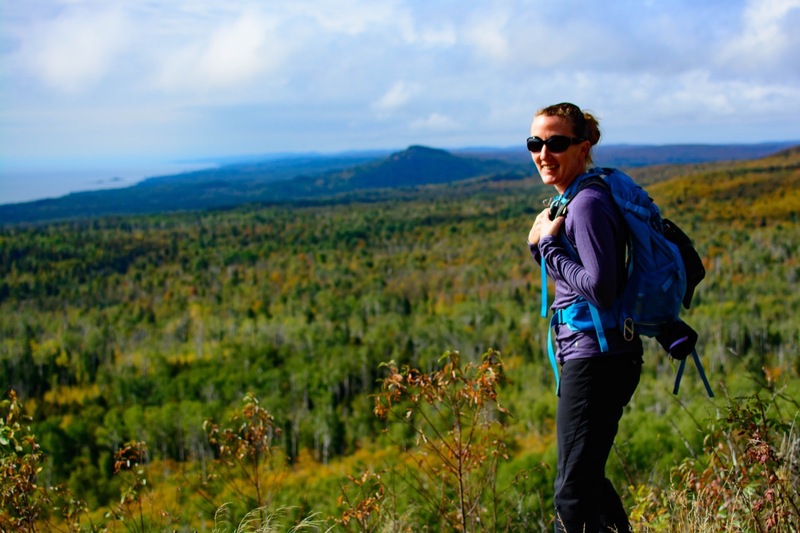 Hike the Superior Hiking Trail (SHT) during the day and enjoy the comfort of a cozy lodge at night. 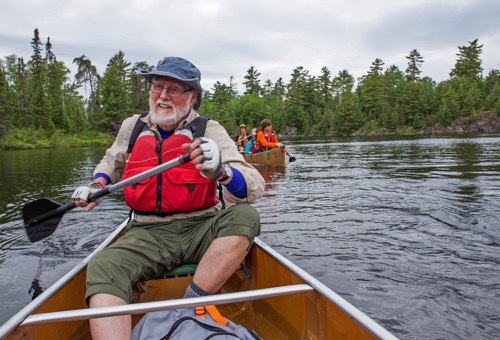 Explore lush forests with rocky cliffs, serene inland lakes, and thundering waterfalls that empty into Lake Superior. 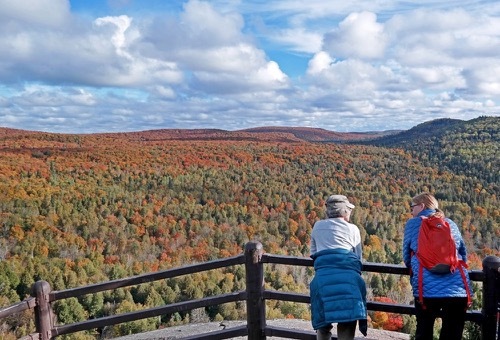 Take in panoramic views from Oberg Mountain as you hike to the best overlooks in northern Minnesota. 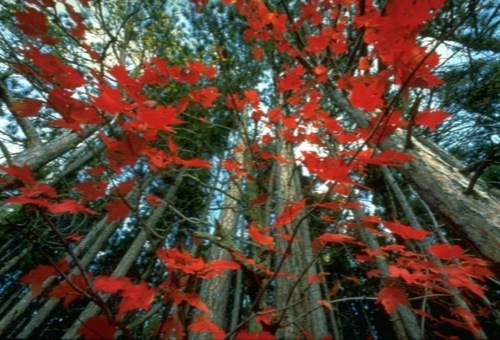 Enjoy the maple trees at the peak of their fall colors. 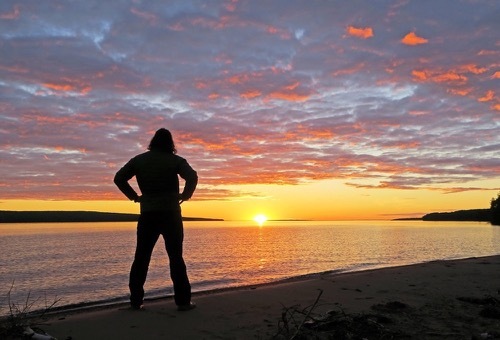 Relax in the evening at your lodge nestled on the Superior shoreline while visiting with new friends. This Superior Hiking Trail lodge-based exploration is a perennial favorite. Day 1: Welcome to the Superior National Forest! Get to know your trip mates and enjoy a warm-up hike in the evening. Meet at the lodge in the afternoon. 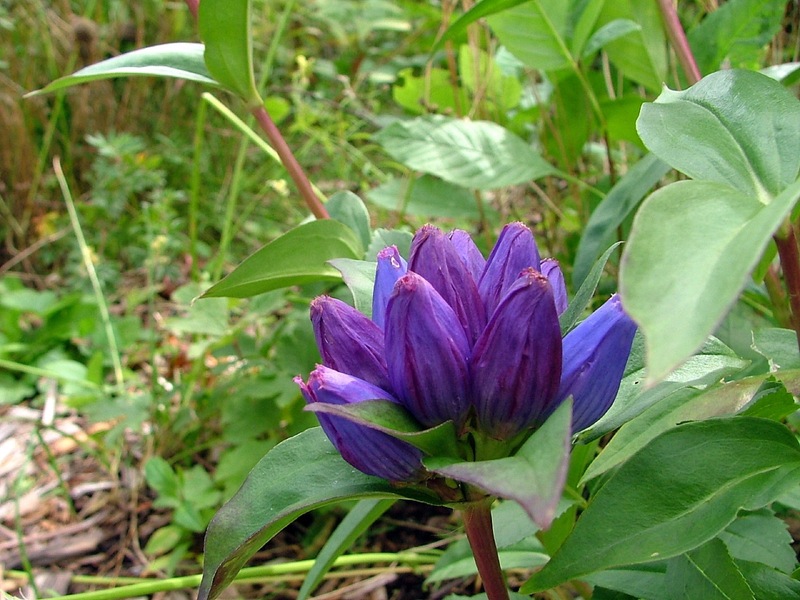 Settle into your accommodations and explore the grounds before going on a short hike on the Superior Hiking Trail. Return to the lodge with plenty of time to enjoy dinner and learn about the next days' adventures. Relax around the fireplace, enjoy hot drinks, and get acquainted with your fellow trip participants. 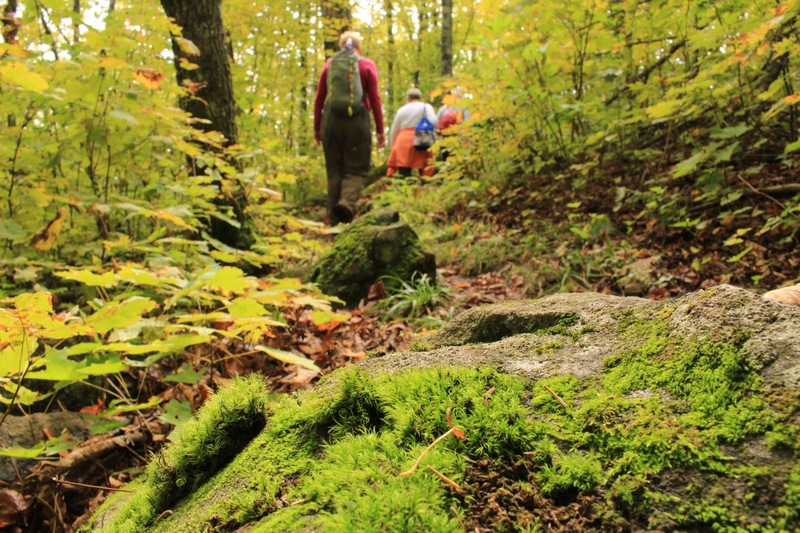 Day 2: Enjoy the fall colors as you make the 6-mile trek from Britton Peak to Oberg Mountain. Start the day early with a hearty breakfast and great coffee. Then head off for a day of hiking from Britton Peak to Oberg Mountain. 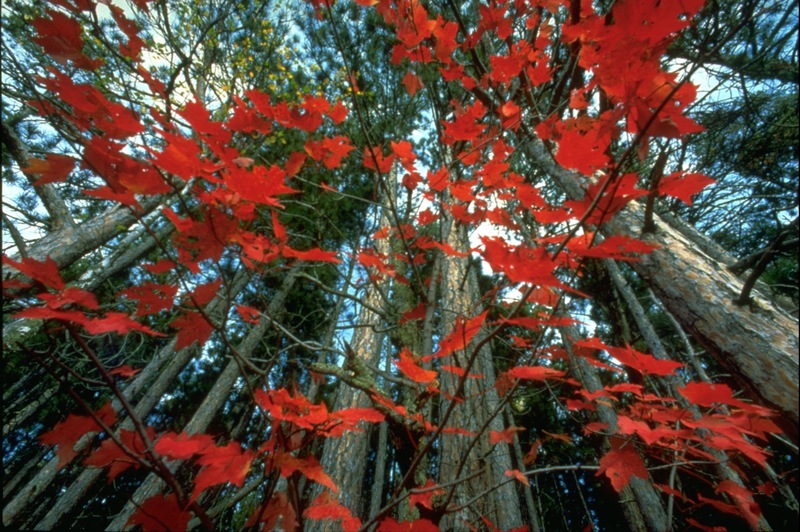 Hike the 5.7-mile trail while taking plenty of time to enjoy the maple trees at the peak of their fall colors. The maple and birch forest gives way to spruce, balsam, and cedar around the beaver pond. Enjoy a relaxing picnic lunch before finishing the hike and returning to the lodge. Enjoy some personal time and dinner. After dinner, there will be time to star gaze from the deck and enjoy the sounds of the Superior shore. Day 3: Enjoy the views from the summit of Oberg Mountain before saying farewell to your trip mates. 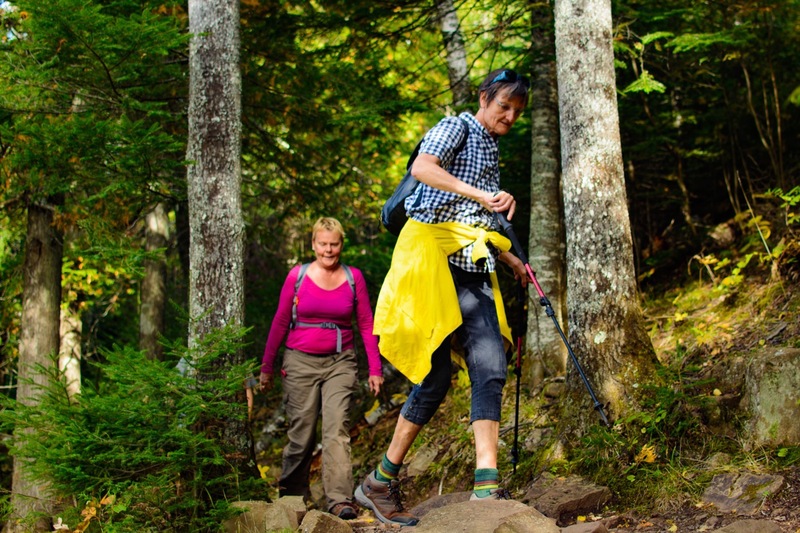 Head out to hike the 2-mile loop around the summit of Oberg Mountain. 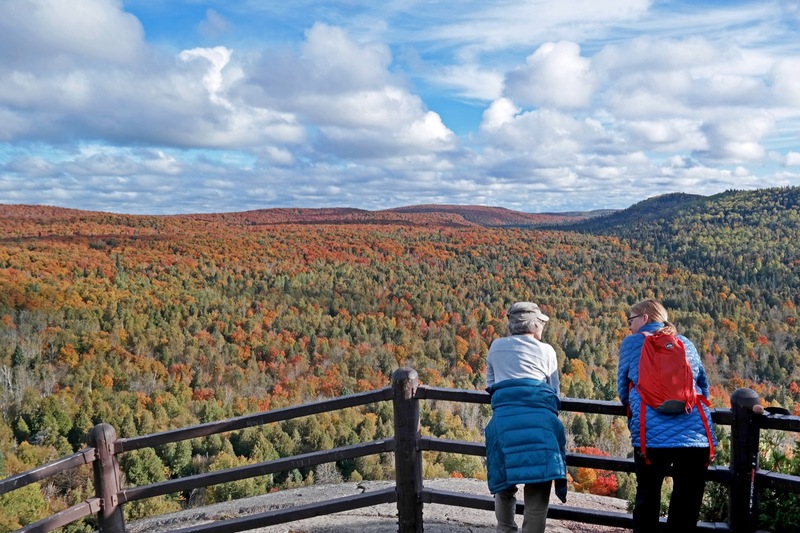 Work your way around the summit for different overlooks in all directions, starting with Leveaux Mountain and Lake Superior, then Moose Mountain, and finally inland to Oberg Lake and the rolling crests of inland ridges. 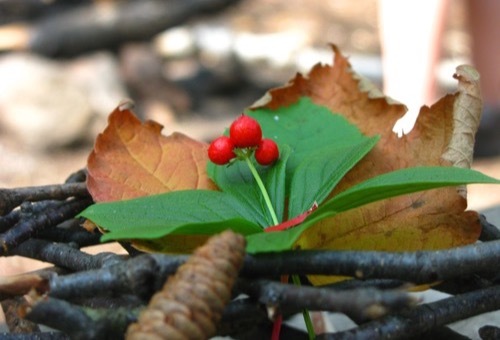 This hike is especially beautiful in the fall when the colors of this mountain are at their peak. After finishing the loop, enjoy a final lunch while viewing Lake Superior. Bid farewell to your newfound friends and begin the journey home. 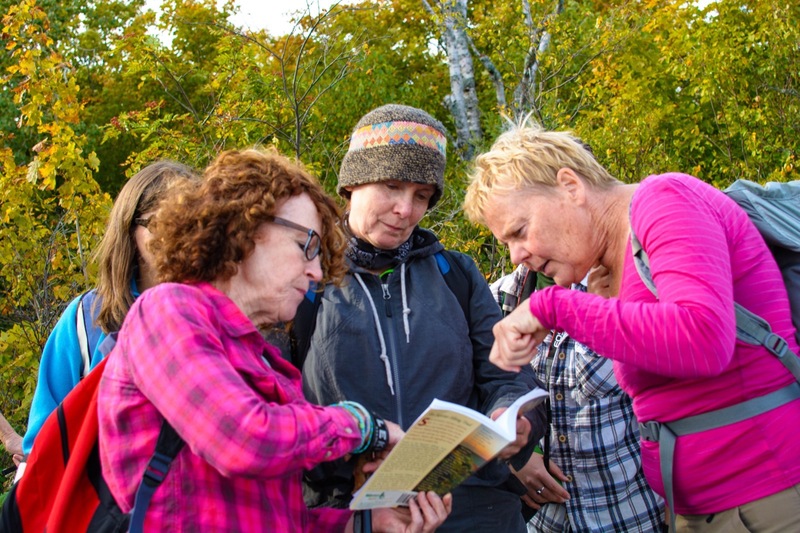 Join Executive Director and WI Founder Greg Lais and his wife Patti Thurber for a a fall adventure on the North Shore. TERRAIN/ROUTE CHOICES: The Superior Hiking Trail (SHT) is characterized by ascents to rock outcroppings and cliffs, and descents into numerous river and creek valleys crossed by attractive and functional bridges. The SHT traverses a rich variety of terrain and habitat types. Much of the trail is easy walking but you will encounter sections with numerous steps and steep grades. TYPE OF TRAVEL/DISTANCE: We will hike 3-6 miles each day with plenty of opportunities for exploration. The group will carry lightweight day packs with their personal items and lunch. No previous experience is needed to complete this trip. 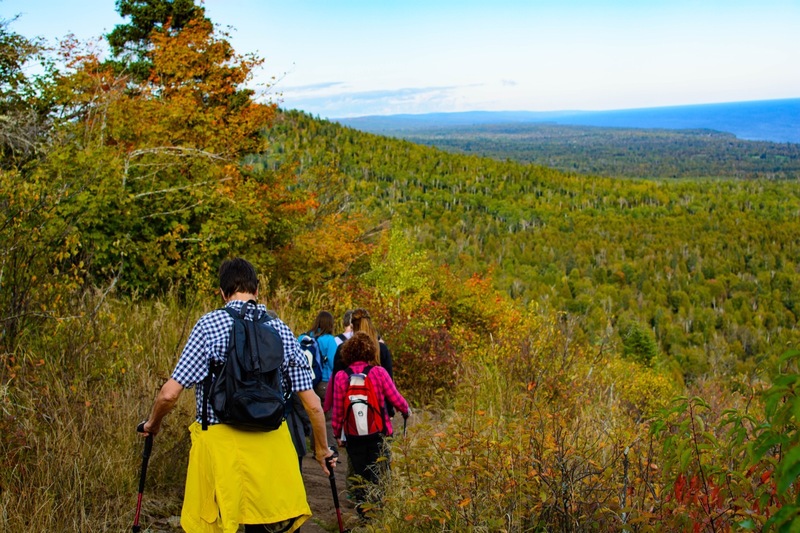 WEATHER: The average temperature on the Superior Hiking Trail in early fall is 63 F degrees and rain is always a possibility. Weather in the area is strongly influenced by Lake Superior and can change suddenly. ACCOMMODATIONS: Lodging will be in a roomy condo located on the North Shore of Lake Superior. Typically there are 2-4 people per room, matched by gender or requests to room together. Each unit contains fully modern bathrooms. Enjoy the lake views from the deck and relax around the cozy fireplace. SINGLE TRAVELERS: If you are traveling alone you will feel at home with a welcoming group. If you would like to have your own room throughout the trip you may purchase a single supplement for an additional fee. 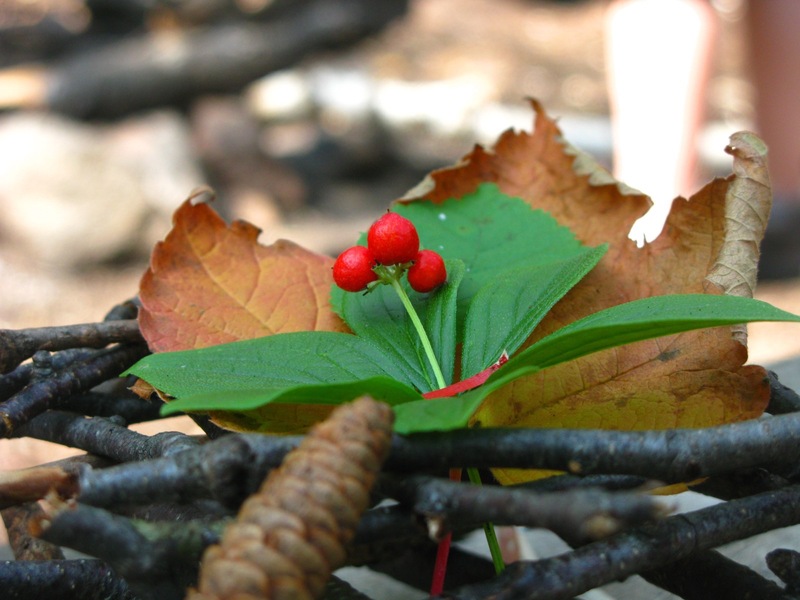 MEALS: We’ll enjoy a variety of meals, some at the lodge and others out on the Superior Hiking Trail. 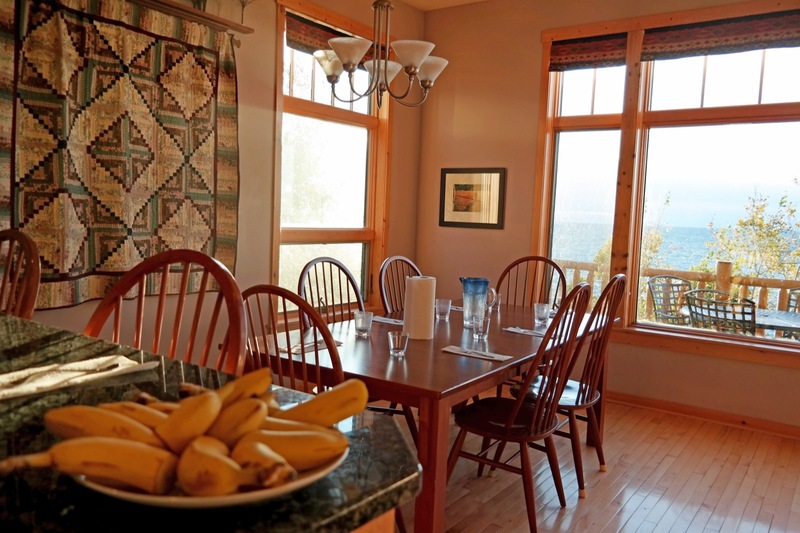 Count on hearty breakfasts, picnic trail lunches, and lively dinners, all shared. We’ll enjoy happy hours together at the lodge after the day’s outdoor activities. If you have special dietary restrictions, be sure to list them on your registration. YOUR GROUP: The group size ranges from 8 to 14 participants, plus 1-2 Wilderness Inquiry staff. Each group consists of people of various ages, backgrounds, and abilities, including people with disabilities. Our trips are cooperative in nature. WI staff will assist you in whatever areas you need, however, most people pitch in where they can. The trip starts south of Grand Marais, MN, at the Tofte Ranger Station at 2:00 PM. The trip ends at 1:00 PM in the same location. You can drive there on your own or take the Wilderness Inquiry van to and from Minneapolis for an additional fee. The van leaves from Wilderness Inquiry Headquarters in Minneapolis at 7:30 AM. There is also a shuttle service from Thompson Hill in Duluth that leaves at 10:45 AM. The trip ends at Tofte Ranger Station at 1:00 PM. The van returns to Wilderness Inquiry Headquarters in Minneapolis around 6:30 PM on the last day of the trip. The shuttle returns to Thompson Hill in Duluth at approximately 4:00 PM. Detailed meeting place instructions will be sent to you when you are confirmed for the trip. Booking a Flight? We recommend flying in to the Minneapolis St. Paul International Airport or the Duluth International Airport the night before your trip, and flying out of Duluth International Airport no earlier than 6:00 PM or Minneapolis St. Paul International Airport no earlier than 9:00 PM on the last day of the trip. 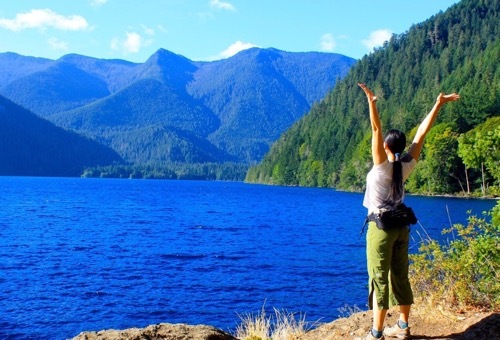 Do you have a single supplement for Superior Hiking Trail Lodge-Based Hike and Explore? You can elect to guarantee a single room for the duration of the trip for $100.00 during the registration process. The Superior Hiking Trail, a 310-mile footpath, largely follows the rocky ridgeline above Lake Superior on Minnesota’s North Shore from Duluth to the Canadian border. Trailhead parking lots appear every 5-10 miles, making it ideal for both day hikes and backpack camping. At its lowest point, the Superior Hiking Trail goes along the shore of Lake Superior, 602 feet above sea level. 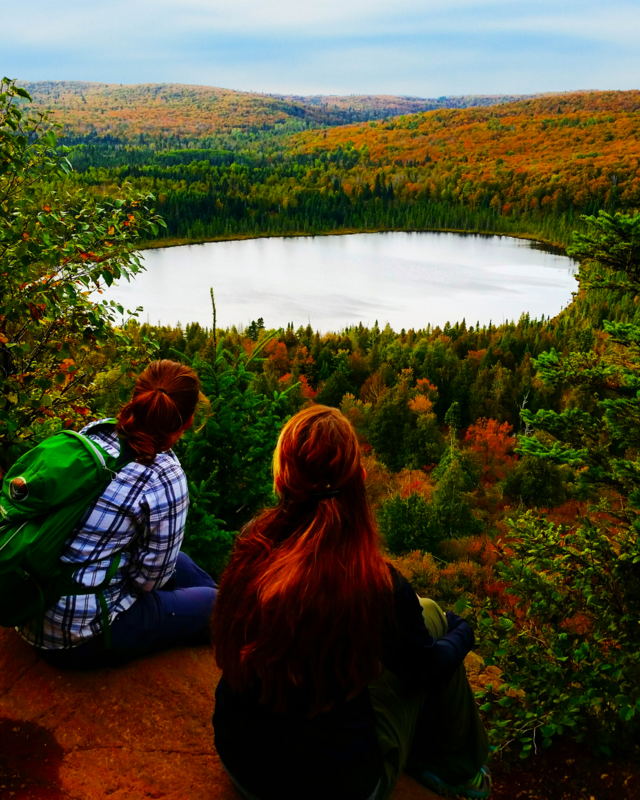 At its highest point the Trail climbs 1750 feet above sea level and more than 1000 feet above Lake Superior. The Trail includes ascents to rock outcroppings and cliffs, and descents into numerous river and creek valleys crossed by attractive and functional bridges. 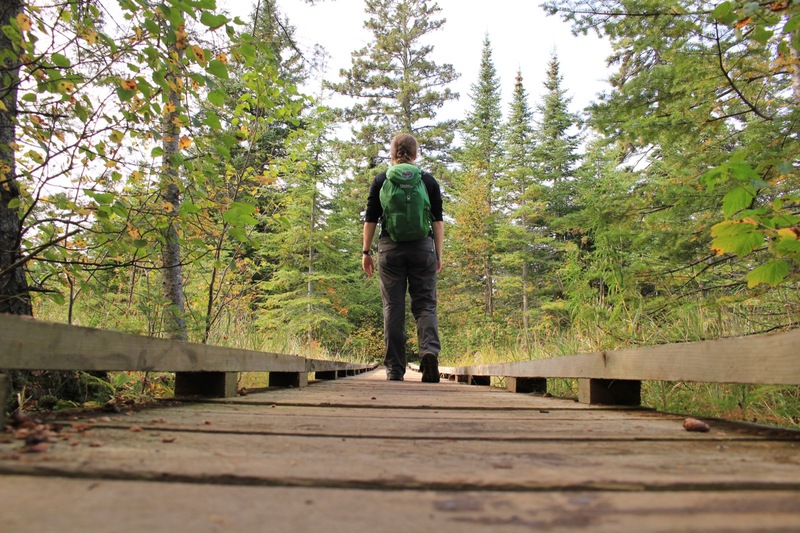 The Trail provides abundant panoramic overlooks of Lake Superior, the Sawtooth Mountains, and inland woodlands, lakes, and rivers along the length of the Trail. At many points, the Trail follows rivers and creeks, often for distances of a mile or more, showcasing waterfalls and rapids, bends, and deep gorges where rushing water from thousands of years has cut into layers of ancient volcanic rock. The Superior Hiking Trail begins in Duluth, Minnesota and ends just before the Canadian border. The first documented through-hiker of the Trail was Paul Hilna in 1995. Paul raised pledges for the Superior Hiking Trail Association (SHTA) and Wilderness Inquiry as he hiked the length of the trail with crutches. The first people to enter the North Shore region arrived around 10,000 years ago. These Native Americans, called Paleo-Indians, entered the region during the final retreat of the Wisconsin Glaciation. Many waves of Indian people inhabited the North Shore prior to European contact. 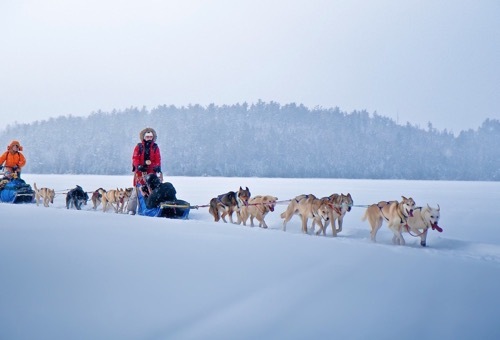 The early Europeans, French explorers and fur traders, first reached the Lake Superior country about 1620. At that time, the Ojibwe (Anishinabe) inhabited only the eastern end of the lake as far west as the Upper Peninsula of Michigan. By 1650 the French had encountered the Dakota, or Sioux, who lived at the head of the lake near Duluth. Along the North Shore lived the Assiniboine and the Cree, who later moved farther to the west and north. By 1780, the Europeans had established fur trading posts at the mouth of the Saint Louis River and at Grand Portage. The Ojibwe firmly controlled the western end of the lake and northeastern Minnesota by this time. In 1854, the Ojibwe signed the Treaty of La Pointe, which opened up northeastern Minnesota to mineral exploration and white settlement. The first permanent white settlement — a group of Germans from Ohio — occurred at Beaver Bay in 1856. The late 1800s saw a rise of commercial herring fishing along the North Shore, and it was said that nearly every cove harbored at least one fisherman’s shanty. Many beautiful waterfalls bless the North Shore, including several that give the name to the Cascade River. The abundance of waterfalls resulted from both the profound erosion of the Lake Superior basin by the great Ice Age glaciers, which led to the steep slope of the North Shore, and the occurrence of hard igneous rocks underlying the coastal zone. The fast-running rivers have eroded the softer bedrock to form the deeper parts of the gorges. However, the bedrock has some harder parts that resist erosion, leading to falls and cascades. Many of the falls on the Cascade River represent individual basalt lava flows. 1) Small animals that are common but seldom seen, including shrews, voles, mice, and weasels. 2) Medium-sized animals that are somewhat common and often seen, including white-tail deer, moose, black bear, snowshoe hare, red squirrel, and beaver. 3) Medium to large, generally carnivorous animals that are rare, wide-ranging and also seldom seen, including timber wolf, coyote, lynx, and bobcat. A typical day-hike probably won’t produce a lot of animals to see besides birds and insects. However, white tail deer, snowshoe hares, and red squirrels, among others, do commonly appear. In the muddy sections of the trail, tracks of deer, moose, and wolves can be seen, animals likely to use the trail as an easy path through remote woods.